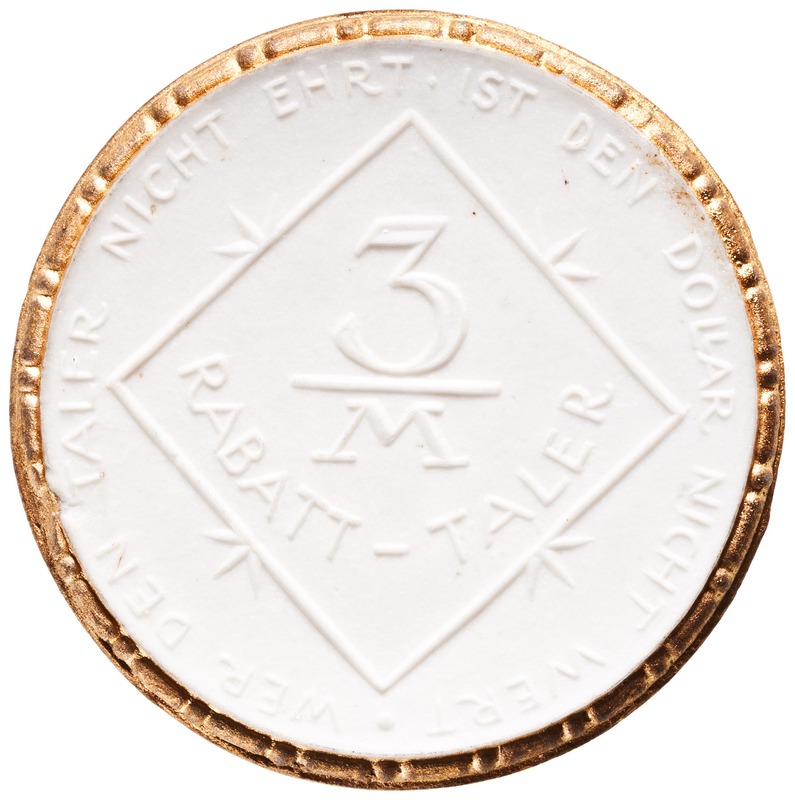 Obverse: . 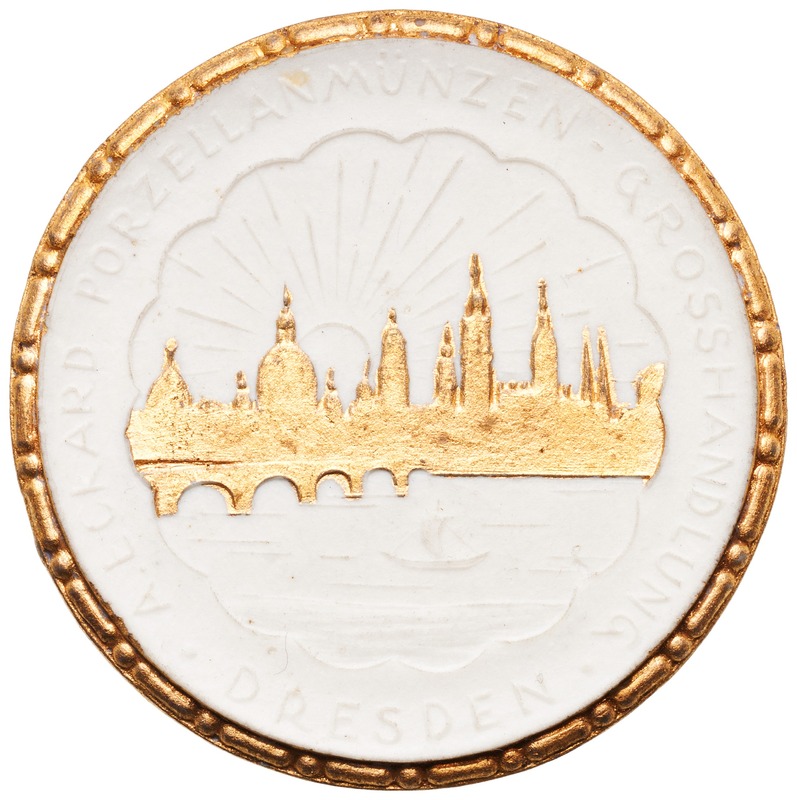 A. ECKARD PORZELLANMÜNZEN - GROSSHANDLUNG./ DRESDEN ["Porcelain coins whole sale trade"] - View of Dresden with river Elbe. Note: No date, possible 1920's: Arno Eckard was active coin dealer then. 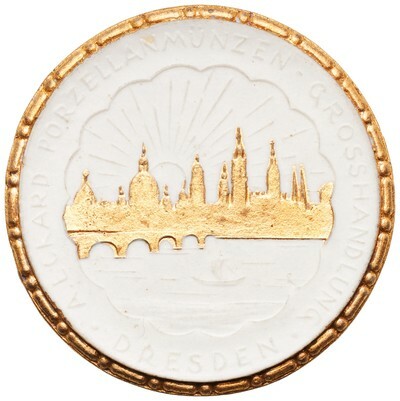 Gold painted rim as well as skyline of Dresden.